POWER SURGES CAN RESULT FROM MANY SITUATIONS OTHER THAN LIGHTNING STRIKES. ISE INVESTIGATORS CAN PINPOINT THE EXACT REASONS. Although lightning may be the most familiar cause of a power surge, it is by no means the most common. 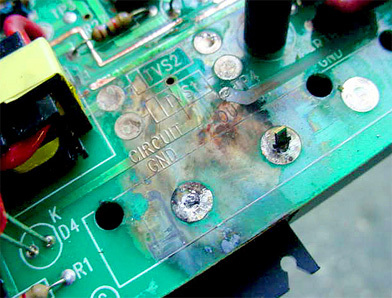 A more likely cause is the operation of high power electrical devices, such as air conditioners and refrigerators, that can create brief, sudden demands for power and can damage components immediately or gradually. 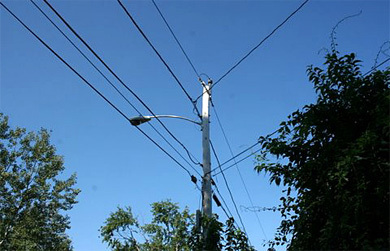 Other sources of power surges are faulty wiring, utility company issues, and downed power lines. 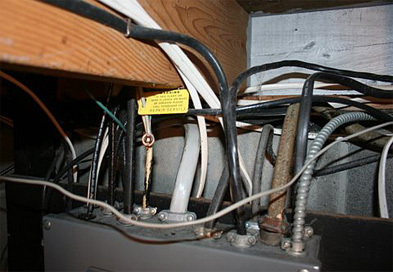 Installation of surge protectors is recommended, but does not completely eliminate the chance of power surge damage. ISE will evaluate a home that has been struck by lightning or suffered a power surge to verify damage. The evaluation will include the building's wiring, electrical appliances, and electronic components within the house. A fully detailed report will be submitted detailing all damage.